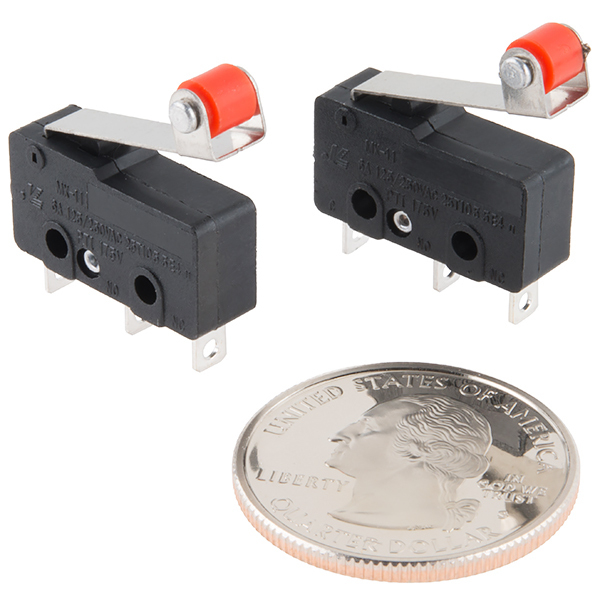 This is a 3-terminal microswitch two pack, each equipped with a 19mm roller lever actuator. 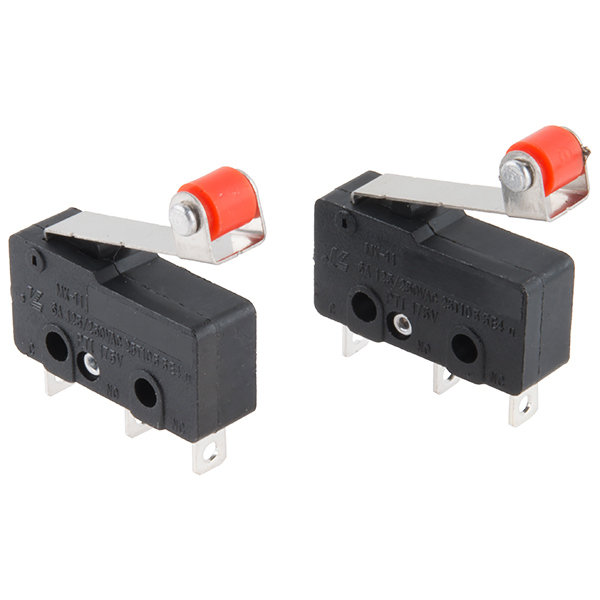 This switch has a great 'clicky' sound to it with a nice tactile feel and is perfect when used for a slider, 3D printer, or robot project. 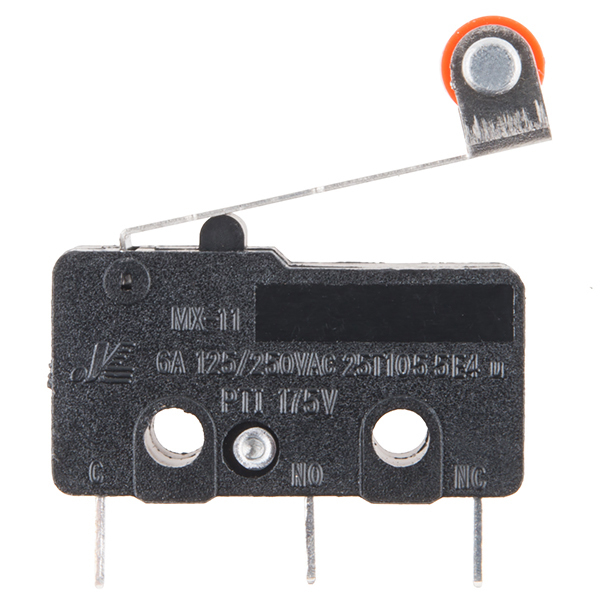 Each microswitch is rated for 5A at 250VAC. What size are the terminals on the part? Can you use the colored spade crimp terminals with them? The tactile feedback is amazing, however dont put them in a heavily used environment. I went through 1 every 3 days. Still, that click really is nice.